Extra power. Microfibre. Extra hair+particle pick-up. XL* +25%* Extra Contact * +25% extra contact with the floor compared to previous SuperMocio 3Action (internal laboratory test). 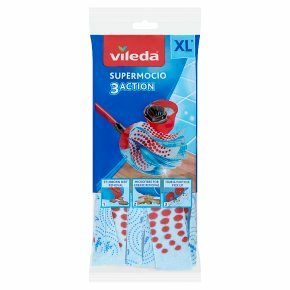 Fits all Vileda SuperMocio handles. On delicate surfaces please try on an inconspicuous area first.